Harbour Air in Nanaimo, BC. Photo by Sue Frause. Vancouver based Harbour Air Ltd, the world's largest all-seaplane airline, announced that it will go 100% carbon neutral by the end of 2007. On October 1, 2007 Harbour Air began purchasing high quality carbon offsets to mitigate the climate impact of all scheduled service, charter and tour operations. 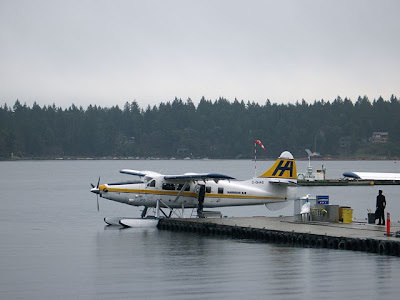 This made Harbour Air the first air carrier in North America (and the only seaplane airline in the world) to make all of its flight services 100% carbon neutral. Harbour Air has so far contributed more than $15,000 to carbon neutral programs.